"I used to be like you when I was a kid." Film Movement has debuted a new US trailer for the Zambian film I Am Not a Witch, the second feature from Zambian filmmaker Rungano Nyoni (Nordic Factory). This premiered at the Cannes Film Festival in Directors' Fortnight last year, and went on to play at numerous other festivals including TIFF, Helsinki, London, Mumbai, Busan, Stockholm, and even the Sundance Film Festival earlier this year. I Am Not a Witch is about a young girl who is accused of being a witch, and she ends up stuck with a group of other outcast women working in the desert. But as the title says, of course she is not a witch. The film stars Maggie Mulubwa as Shula, along with a vibrant cast of local actors. If you've been hearing about this one, now is your chance to finally catch it when it opens in theaters this September. Following a banal incident in her local village, 8-year old girl Shula (Maggie Mulubwa) is accused of witchcraft. After a short trial she is found guilty, taken into state custody and exiled to a witch camp in the middle of a desert. At the camp she takes part in an initiation ceremony where she is shown the rules surrounding her new life as a witch. Like the other residents, Shula is tied to a ribbon which is attached to a coil that perches in a large tree. She is told that should she ever cut the ribbon, she'll be cursed and transformed into a goat. 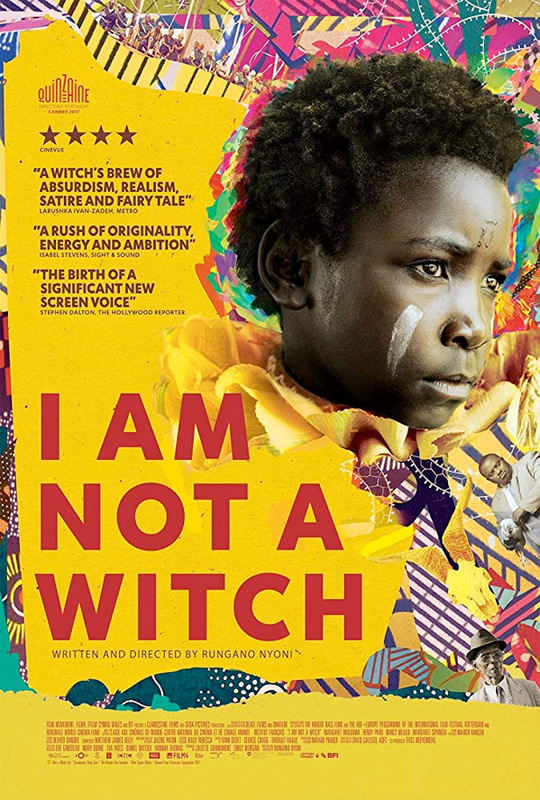 I Am Not a Witch is both written and directed by Zambian filmmaker Rungano Nyoni, director of the film Nordic Factory previously, as well as a few short films. This initially premiered at the Cannes Film Festival in Directors' Fortnight last year. Film Movement will release Nyoni's I Am Not a Witch in select US theaters starting on September 7th in the fall. We highly recommend catching this film.